Swet Tailor co-owners Adam Bolden and David Franz show off their men's apparel as they join colleague JR Jackson outside Freehand New York. Officially launched in 2015, Swet Tailor is a premium menswear brand that is defining a new kind of casual. With strategic planning and knowledge and the endorsement of NFL stars like Carson Wentz and Nick Foles of the Super Bowl Champion Eagles, Swet Tailor is one of the fastest rising men's apparel companies in the U.S. The co-owners of Swet Tailor, Adam Bolden and David Kranz, live in Los Angeles, but recently joined SportsJam host Doug Doyle in New York City to talk about their brand, their sports connections and their families. Both Bolden and Kranz played high school tennis and Kranz even competed at a higher level in Denver. They become friends while working in the fashion industry. Bolden is a graduate of Arizona, the same college Super Bowl MVP Nick Foles played for. Growing up in Philadelphia, Bolden became a big Eagles fan. "Basically after the Super Bowl, Nick Foles' sports marketing agency reached out to my wife's PR agency who was handling our PR affairs and they wanted to dress Nick for Jimmy Kimmel. We had an opportunity to sneak some Swet Tailor clothing into the Jimmy Kimmel package. I wrote Nick a really long nice note just about being a fan and a University of Arizona alum, and about a week later, Nick wrote me this wonderful email outlining all of my remarks and basically said he's so used to wearing Lululemon but this past week, he's put all that clothing aside and he's only wearing Swet Tailor. He invited down to his home in Newport Beach where we did a custom fitting for him." 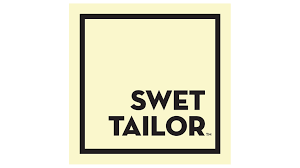 Sweat Tailor is one of the fastest rising men's apparel companies in the U.S.
After that Foles start introducing Swet Tailor clothes into the Eagles locker room. He introduced the menswear brand to coaches and other players like quarterback Carson Wentz. Current Redskins and former Jets and Eagles quarterback Mark Sanchez is already an investor with Swet Tailor. David Kranz grew up a Packers fan, but obviously also cheers for the Eagles now. "One of the things that we really believe in Swet Tailor is who we work with and who we surround ourself with. We're both dads and friends for a long time. One of the things that's really important to us is people have that same value system. People that are kind, they give back, they use their positions for the greater good." Kranz says it's great to have the NFL players's support for Swet Tailor. Click above to hear the SportsJam with Doyle podcast with Kranz and Bolden.